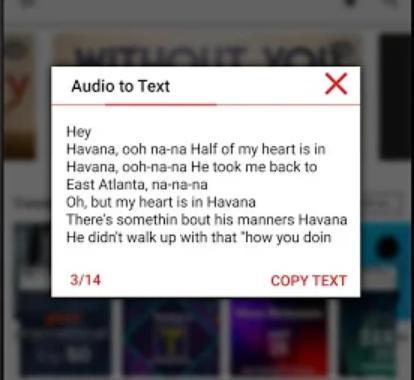 Yes, You can convert mp3 Audio easily in Text by Using App. 2. Open Setting Option And Select Your language and quality. after that goes Back. 3. Click upload Button And Select Your Audio after that few minutes this audio is converted on Text. Click on Copy Text Button and Past anywhere you want.